Why Weight for Health and Happiness? In my last post I drafted belletristic blueprints of a structure intended to foster greater body image acceptance. Such acceptance often leads to increased confidence, improved health, and greater happiness. Body image acceptance is beneficial, whatever our adiposity, but when our poundage is a potential health risk, we may need to find a healthy way to bump off the ballast. If we do so, we want to make sure it is not because of social pressures or media standards, but rather the result of our natural desire to improve our health and happiness. Similarly, our goals should be related to health, not hype. However much we choose to lose, how much time we set aside, through whatever methods we elect; improved health should be our guide. If our body was a Smart Car, then the liver would be its engine, hormones its temperature and energy regulators, thyroid its heater and AC, pituitary its sensors, and body mass its reserve fuel supply. These five metabolic systems determine how we store, burn, and lose weight. The liver transforms every nutrient, hormone, and chemical in the body into a useable form. It makes them active so they can go to work for us. Our liver also manufactures carnitine, which ushers fat to our little fat-burning furnaces known as mitochondria, where 90% of our metabolic energy is produced. Because the liver is so directly involved with our metabolism, it is important that our nutritional choices feed it rather than bleed it. Our adrenals secrete hormones that regulate our body’s response to stress. They generate the hormones that determine how we adapt (either functionally or dysfunctionally) to changing situations. Most traditional medicine doctors do not adequately assess for adrenal function, so we may need to visit a naturopathic doctor to see how these little guys are doing. Their hormones determine how we access fuel in the body and how this fuel is used (e.g. whether stored as fat or burned as fuel). If we nourish our body during times of stress, with optimal nutrition, then more of our fuel will be burned than stored as fat. Adrenal fatigue is increasing in prevalence due to stress and poor food quality. Adrenal fatigue is especially significant for those with psychological or neurological conditions, such as Asperger’s Syndrome, bipolar disorder, and schizophrenia. These conditions generate stressful surges of strong negative emotions, zapping huge amounts of energy, leaving sufferers depleted and out of balance. Many with these neurological and psychological uniquenesses experience profound emotions in response to normal or relatively minor situations. It is crucial that they take the time to understand and accept their condition, take the time they need to rest and heal, avoid making any major changes in their lives, and live in a safe, comfortable, and structured environment. For them, this will help mitigate the effects of their condition upon their lives (including weight, emotional stability, and tragic loss). The thyroid produces hormones that generate body heat. It influences metabolism through determining the rate at which the body is burning energy or storing fat. Its primary factors (T3 and T4) travel through the bloodstream converting calories and oxygen into energy. T3, in particular, is important to assess for, as it carries four times the metabolic importance as T4, and has a big influence on adrenal function. In fact, if our T3 is off, then there is a good chance that our adrenals are depleted. Since thyroid is commonly tested for by traditional medicine doctors, when your labs show a poor T3 level, then you should also have your adrenals checked. Dieting triggers greater secretion of Reverse T3 (RT3), which tricks the body into believing we are starving, and then causes the production of more fat to help us survive. 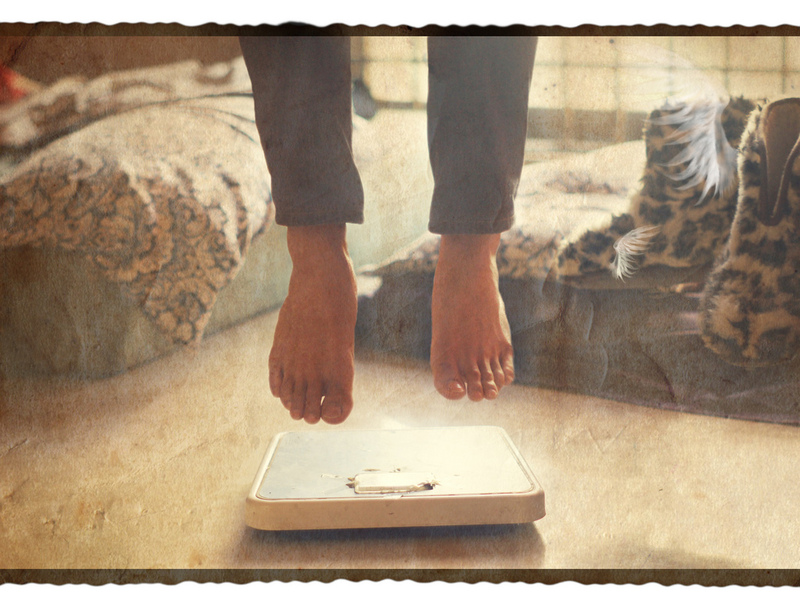 In the long haul, dieting doesn’t work, and it keeps our body out of balance in the process. The pituitary helps make sure that all the other hormones produced by the various organs are in the proper concentration. It can be tricked also (e.g. by the RT3) into believing that our body has the right amount of hormones (e.g. T3) when it does not. So a typical thyroid test may not provide accurate information regarding the true state of these hormones. Our body mass (fat and muscle), is where the majority of our reserve fuel is stored. Fat secretes and regulates hormones, which communicate with the adrenals. When our body slows down, it begins storing fat to survive the proverbial winter. Therefore, through better understanding our metabolism, and taking steps to optimize its functioning; we will lose weight naturally and improve our health and happiness while we’re at it. A plethora of other proclivities precipitate our poundage, along with our ability to lose weight naturally. Estrogen, insulin, and cortisol levels can mess with our ongoing attempts to jettison that unhealthy jelly belly. Since natural weight loss is all about healing, here are four healing secrets to help us ditch the excess baggage while promoting the healing of our body, mind, and emotions. “These secrets helped me to lose over 60 pounds naturally (no diets, drugs or deprivation) and I have kept the weight off for over 14 years now. In the process I naturally healed eczema, asthma, thyroid dysfunction, adrenal exhaustion and chronic fatigue syndrome and stopped taking prescription medications,” says the author of this healing secrets article. Tap here to watch a video about the ways tapping can help you lose weight naturally. Here are some natural solutions to healthy weight loss if you have tried everything and can’t lose weight. According to this weight loss expert, these are the top seven reasons people fail at losing weight. What tips and tricks have help you take the weight off and keep it off? What things have you learned not to do in your efforts to drop that unhealthy excess? Join my email list to have renewable rainbows, and various creative works delivered directly to your Inbox. Do so at your own risk, as their vibrational frequencies may turn your focused thought into creation. Dr. Paul David Kai`makani`mele Swigart, known as Dr. Kai, is a therapist, spiritual teacher, and healer who resides on the Big Island of Hawaii. Through the traditional sense, Dr. Kai has a Ph.D. in psychology from United States International University, is licensed as a Marriage and Family Therapist in California and Hawaii, and also holds credentials as Certified Employee Assistance Professional, Substance Abuse Professional, and Certified Arise Interventionist. From an alternative angle, Dr. Kai is a vibrational healing practitioner, crystal healer, and shaman. He is a student of Ayurvedic Medicine, Quantum Physics, and Jyotish.